When individuals start a business, the business structure usually falls into one of three categories: a sole proprietorship, a partnership, and a corporation. A proprietorship is the simplest and has just one owner, a partnership generally has 2 or more partners that reach an agreement as to their responsibilities and ownership percentage. 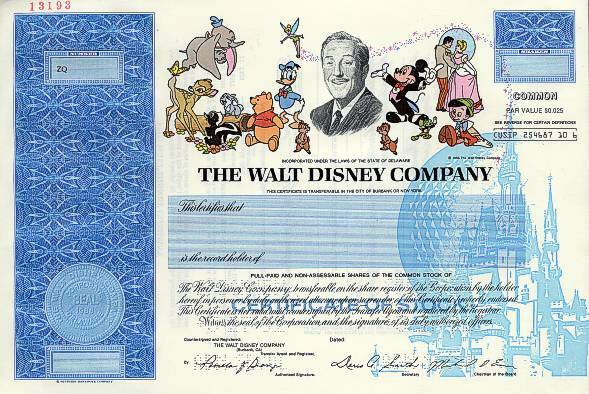 Businesses that “incorporate” create a separate legal entity (their corporation) and then issue share certificates (“stock”) to show who owns how many shares of the corporation. Corporations usually start off small with just a few shareholders. 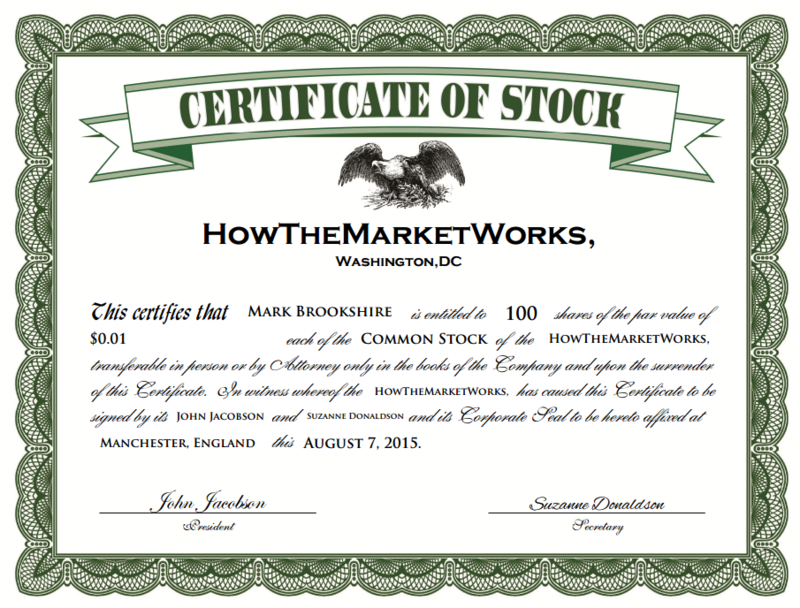 For example, a corporation when it is formed could issue 100,000 shares of stock. The person with the business idea may put in $50,000 of his own money, and then ask his first 5 employees to each put in $10,000. This business would then have 6 shareholders: the founder would have 50,000 shares, and each of the 5 employees would own 10,000 shares. As corporations grow, they often find they need to raise more money and get a lot more investors. They often turn to Wall Street to help them raise more money by selling more shares of stock of their corporation. 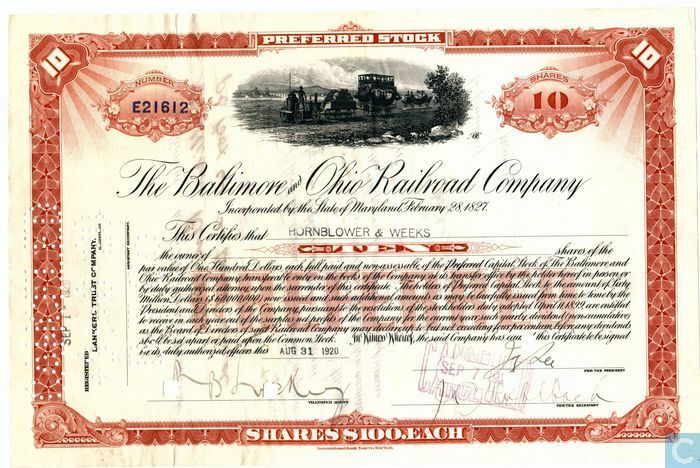 If you bought 100 shares of a company you might get a stock certificate like the one below indicating your ownership. If you decided you no longer wanted to own those shares you could try to sell them to another investor that might want to own part of that company. This is the essence of the stock market–it is where investors invest in new companies, or they buy and sell (or exchange) shares if they can agree on a fair price. Pro tip: There are many stock picking services which will help you find the BEST stocks to invest in. Check out this review of the Motley Fool’s Service. Stock is defined as a share of ownership of a company; if you own a company’s stock, you actually own a percentage of the company itself (including its assets, like chairs, vehicles, and buildings) and a percentage of its profits. For example, if a company issued 1,000 shares and you owned 100 shares, that does not mean that you can go to the company headquarters and take 1/10 of the furniture. It means that if the company was profitable and they made $100,000 and decided to pay it out to the shareholders, you would get 1/10 of $100,000 which is $10,000. People invest in companies that they think will be profitable with the hope that the company will start paying out its profits to its shareholders. Likewise, if the company was not profitable and decided to close, then the company might just sell all of its furniture for $1000 and you would only get $100 back. What Does Owning Stock Get Me? Since you own part of the company, you are now involved in some of its management decisions, and you are entitled to some of the company’s profits. Shareholders often get to vote to choose the Board of Directors, to pick independent accountants, to approve any major change in the company like merging with another company. What exactly you are entitled to depends on the amount of stock that you own. Take the company Apple, for example. Apple has approximately 5.575 BILLION shares outstanding, so if you owned 100 shares of Apple, you would own 0.00000179% of the company. That seems like a tiny amount, but keep in mind that Apple makes $50 BILLION a year so if they paid out all of their earnings one year, you would get $896! If you decide that you no longer want to own your Apple shares, you can always sell your shares on one of the stock exchanges. There is more than one kind of stock or ownership that companies sell. While almost all stock traded on the stock exchanges is “Common Stock”, some companies have issued “Preferred Stock”. Common stock is the kind most investors buy. Common stock generally gives one vote at shareholder meetings for every share owned. Common stock holders may also be entitled to receive distributions of the companies provides, called “dividend payments.” For larger, more stable companies, a portion of corporate profits is usually paid back to shareholders 4 times a year as a dividend. Companies that are still growing usually pay no or very little dividends; but well established companies like utilities generally pay higher dividends. Preferred stock generally does not have voting rights, and you generally will not find them trading on an exchange. However, preferred stock shares have the benefit of “preference” for dividend payments; if a company decides it is going to pay dividends, preferred stock holders may get a bigger share, and be paid before common stock holders. Preferred stock holders are also entitled to be paid first if a company goes bankrupt and all the assets are sold off. When you buy a stock, you are buying a piece of ownership of a company. A bond, however, is more like a loan or debt; a bond is a promise that a company makes to pay you back the amount you lent them plus interest. Hence, if you own a bond, you are only lending a company money, but if you own a stock, you own part of the company itself. Where Does Stock Come From? A new issue of stock is when a private company decides to “Go Public”, and issues shares of stock for anyone to buy. This is often called an Initial Public Offering, or IPO, and when large private companies go public, it can be a very exciting event with huge fluctuations in the stock’s price in the first weeks while the market decides on a fair price for the shares. Private companies “Go Public” and issue stock primarily to raise money: as they sell the shares in the company, the original owners allow the public to vote on some management decisions in exchange for the cash raised in the stock sale to re-invest and help the company grow. Companies may also to issue new shares of stock after the IPO. This can be done by giving all current shareholders additional shares in proportion to how many shares they currently have; for example they can say that for every 10 shares you own now, they are issuing you one extra share. This would be a 10% stock dividend, and the market price for the stocks would drop by 10% (although all shareholders still have the same ‘value’). Some large companies like to have their stock price stay in a certain range. 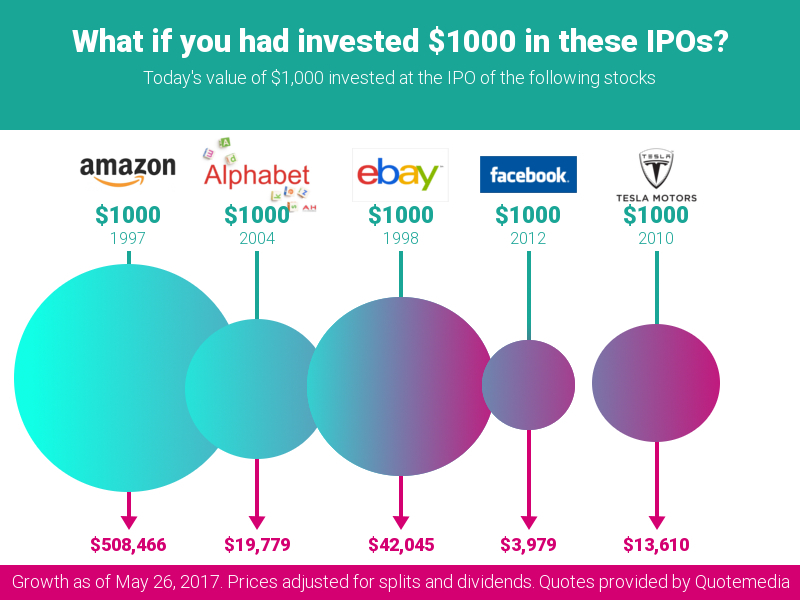 One reason for this is that the more expensive a stock, the fewer people who can afford to buy it (or buy an additional share), so splitting stocks can help it become more affordable, and increase the total value of all stocks in the long run. Stocks trace their origins back to the Roman Empire, where large, private companies that carried out some public duties would sell shares of stock to Roman citizens for the same reasons companies do today; raise cash and grow their business. Over the centuries, Joint Stock Corporations were often chartered by monarchs for large projects that the government simply did not want to invest all the cash (and therefore risk) to fund; for example many canal projects, railroads, and roads in Western Europe were built by Joint Stock Corporations; private investors willing to to take the risk that a project would fail in exchange for some of the profits if it succeeded. During the Age of Exploration, joint stock corporations were what funded explorers to voyage across oceans, and later ship goods across continents. The British East India Company is perhaps the most famous of these, which was involved in everything from the exploration of Canada and the Americas to the British conquest of India, and even the slave trade. 1 of 5) What does a Stock represent? 2 of 5) What is Preferred Stock? 3 of 5) What is an IPO? 4 of 5) The company Apple has how many shares outstanding? 5 of 5) Where were stocks first created?